A smile can be dulled by stained, chipped, cracked or misaligned teeth, but bonding can quickly and painlessly restore your smile's natural beauty. 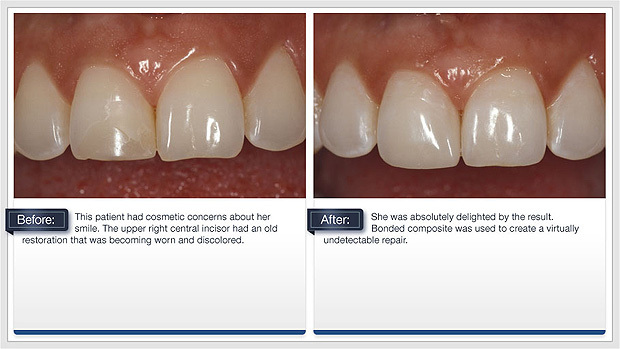 During this procedure a thin coating of plastic or resin is painted over the damaged teeth. 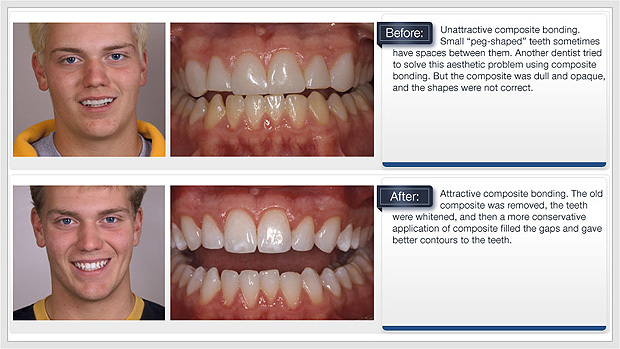 Strengthening them and making them virtually indistinguishable from natural teeth.